THE SCENE: High 30’s and clear – warmed up real quick! F3 WELCOME & DISCLAIMER Yup still not a professional! and then Amy showed up! once complete, we went back up the ladder starting with bear crawls. we do half the reps on the exercises and kept the burpees and lap the same. Persistence – Nelson Mandela was arrested before he could finish his law degree. He spent 36 of the 37 year he was in prison trying to complete his degree. 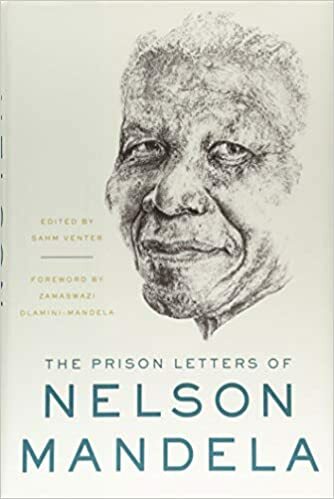 Despite many obstacle, he persisted an completed his degree month before he was released from prison after the fall of apartheid government. This isn’t just another, “keep your resolution post”, this is a persistence post. there are opportunities everyday to give up; Don’t give up! we all want to at time, yet in those moments of weakness we need to press in to the goal or task. We also need to have men around us that can keep us accountable of those goals. THE SCENE: damp but just about perfect temp! 4 circuits with one lap around the pond between each circuit. Everything completed with a Battle Buddy. the 2 reasons that i continue to return to F3 are the ideas of 1)no man is left behind, yet no man is left where they were found, and 2)Iron Sharpens Iron. I have never felt “put down” for how out of shape I was/am at F3, only encouraged to keep going and to get better. We do a good job of sharpening each other physically, my challenge is to shift that in to our every day life. We did every exercise with a battle buddy this morning, we need battle buddies in our relationships, our workplace, in ever day decisions. We so often isolate ourselves; lets break out of that isolation in 2019! a little bit of this and a little bit of that, side straddle hop, and I can’t count to 8 and do a body builder at the same time! practice being present in someones life. take time to listen to what is going on. F3 WELCOME & DISCLAIMER: Yup, still not a professional! make sure to explain that once you climb the ladder, you have to come back down!